As we start 2018 excited for the year ahead, we’ve taken a minute to reflect on a busy 2017 which was one of our favourite years to date. Creating an interactive digital newsletter was an exciting edition to our ever-expanding online magazine portfolio. Following the success of the Recipro web build, we were pleased when Trustland Group awarded us two further website projects – a rebuild of their Trustland Construction site and a new website for the Coach House Restaurant, also owned by the Group. Both sites had to stay true to the businesses’ respective brands, whilst ensuring that the user could easily navigate through the site. We worked with Today’s for a third year running to deliver their conference branding across all marketing communications. Combining Barcelona’s colourful character and design with the strong conference strapline and key things helped us bring the branding to life and implement it across a number of marketing communications. This was one of our favourite projects to work on in 2017. We launched the 10th issue of M World in 2017. Building on the popularity of the past nine issues, the magazine gives our design team time to explore and hone their skills in new and emerging areas. Our festive edition was a great way to round off the year whilst getting everyone in a festive mood. 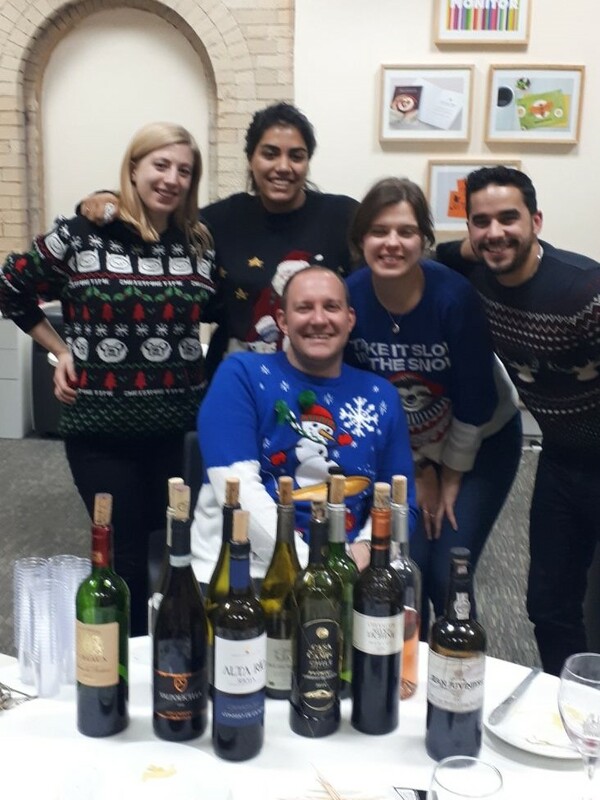 Our team took part in training courses, design events and industry conferences, from Glug to NUX, as well as hosting plenty of team nights out, lots of wine tasting and an abundance of delicious takeaways. 2017 was a great year and my gosh are we looking forward to a brilliant 2018.